The federal proposal to ban online gambling that was introduced last month has been strongly opposed by 10 conservative organizations. The 10 groups banded together and sent a letter to House and Senate Judiciary Committee leaders detailing the reasons why passage of the proposed Restoration of America’s Wire Act (H.R. 4301) would be harmful. Chief among the groups’ concerns is that the bill would give the federal government too much regulatory control over the Internet, The Hill reported. H.R. 4301 was introduced in Congress in March by Senator Lindsey Graham (R-SC) and Representative Jason Chaffetz (R-UT) at the behest of Las Vegas Sands CEO Sheldon Adelson and his Coalition to Stop Internet Gambling. The proposal aims to overturn the DoJ ruling issued in December 2011 that found the 1961 Wire Act to be applicable only to sports betting. That ruling allowed states such as Delaware, New Jersey and Nevada to enact online poker and gambling legislation at the state level. 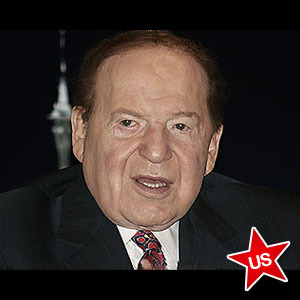 Adelson has since made it a top priority to wipe out the proliferation of Internet gambling in the U.S. Calling the proposed legislation an inappropriate and unnecessary use of federal powers that infringes on the rights of individuals and states, the groups urged the members of Congress to take a stand against this government overreach and preserving the principles of federalism and free-market competition that underscore American democracy. The letter was sent to Bob Goodlatte (R-VA) and John Conyers, Jr. (D-MI) of the House of Representatives, as well as Patrick Leahy (D-VT)and Chuck Grassley (R-IA) of the Senate. It was signed by representatives of the Alliance for Freedom, American Consumer Institute, Freedom Action, Competitive Enterprise Institute, FreedomWorks, Independent Women’s Forum, Institute for Liberty, Taxpayer Protection Alliance, R Street Institute, and the Institute for Policy Innovation. The 10 organizations likened H.R. 4301 to Internet censorship, saying that approval of the bill would set a troubling precedent that may lead to increased regulation at a future date. The groups contend that the Graham/Chaffetz measure will not prevent online gambling, but will instead force those who want to play poker and gamble online to do so at unregulated sites located abroad. That is the same stance taken by the Coalition for Consumer and Online Protection, which was recently formed to combat Adelson’s coalition seeking to ban Internet gambling.